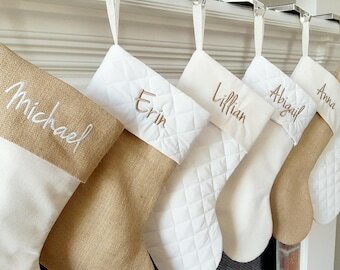 These personalized Christmas stockings are made of high quality materials. 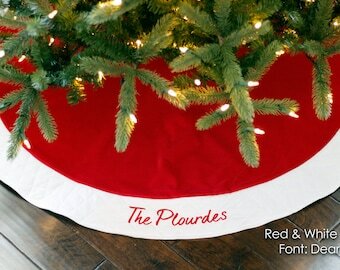 The main fabric is a red and warm white twill. 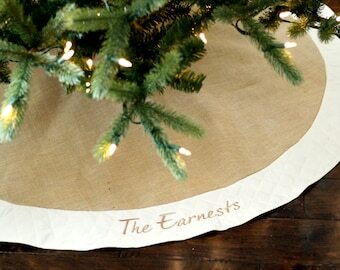 The tops are a beautiful smooth fabric that really helps the embroidery to stand out. 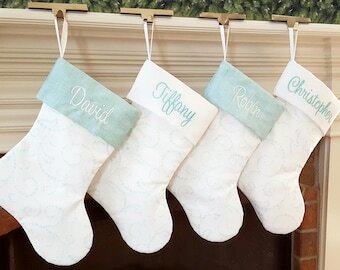 These Christmas stockings are lined on the inside and made with thick batting so they hang beautifully and hold their shape. 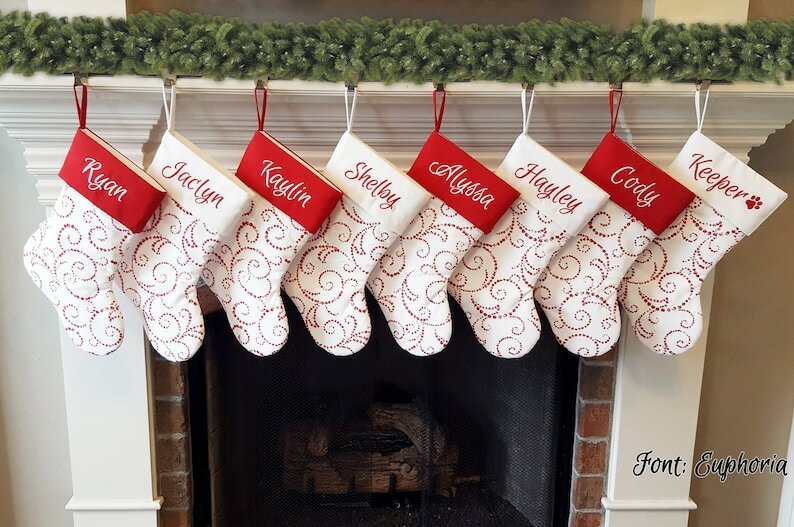 All seams are finished. 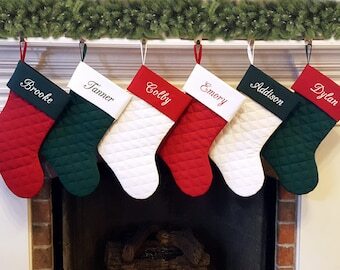 IMPORTANT: Please leave a note when checking out telling me what names you want to be embroidered/monogrammed on each stocking to ensure your order is completed as quickly as possible. 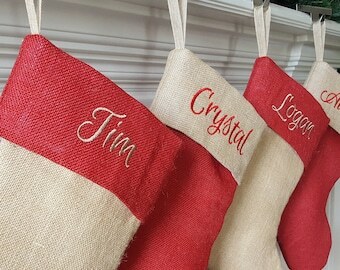 Also write names EXACTLY how you want them on the stockings in the correct case. 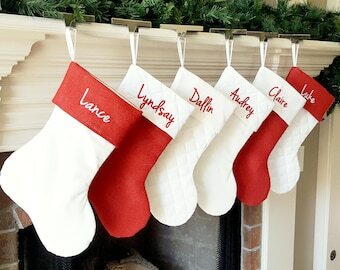 Absolutely love our stocking! 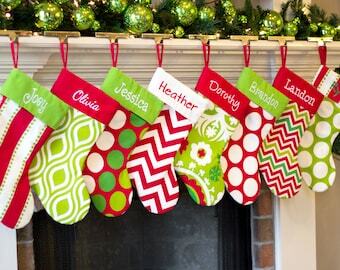 Can’t wait to order more next year! 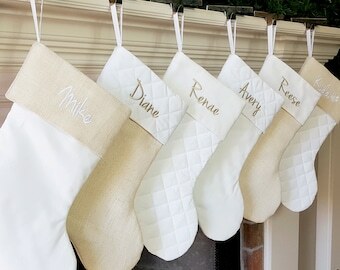 I absolutely love these stockings -they are so cute and work well in my space! Jaclyn is really quick as well with answering any questions! Even prettier in person! 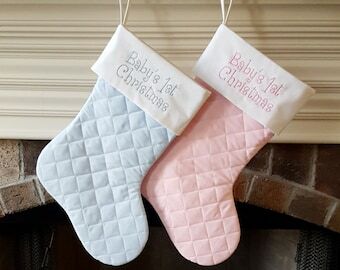 I received an immediate confirmation and stocking was shipped within 2 days. 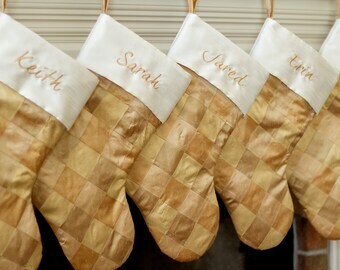 Family oohed and awed and everyone loves it. I will order from her again.